Very busy end to 2018! We’re all caught up with our trip reports and photo galleries from three big trips between October-December 2018: South Africa, Bhutan, and Costa Rica. All of those can be found in our trip reports page. For example, check out the Costa Rica photo gallery. We’re looking forward to some closer-to-home trips in the first half of 2019: Minnesota, Texas, Maine, and Montana. There’s still space on the Montana trip as well as trips in the second half of the year, like our unique Chicago Birds & Architecture tour during the peak of fall migration, so check out out full trip schedule. We’ll be adding additional 2020 trips soon! A cultural interlude, visiting Punakha Dzong, during our spectacular November Bhutan tour. 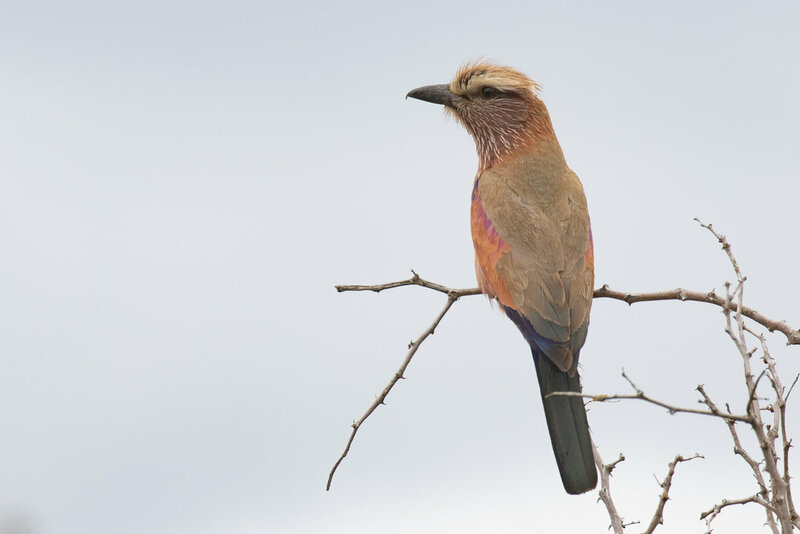 Purple Roller (also called Rufous-crowned Roller) during our October South Africa tour. Older PostSouth Africa, Bhutan, and Thailand!